University of Pennsylvania, Philadelphia, U.S.A.
David FitzGerald, Associate Professor, Gildred Chair in U.S.-Mexican Relations and Co-Director, Center for Comparative Immigration Studies, University of California, San Diego (Amazon, August 22, 2014). KK Mishra, Professor in Political Science, Banaras Hindu University, in: Indian Journal of Political Science, 2013, pp. 381-3. Rajan Joseph Barretta, 2015. 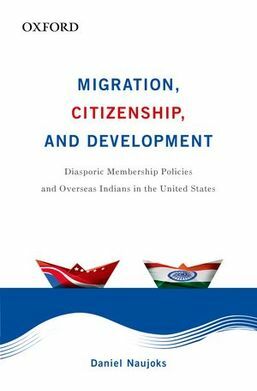 South Asian Diaspora 7 (1), pp. 70-71.